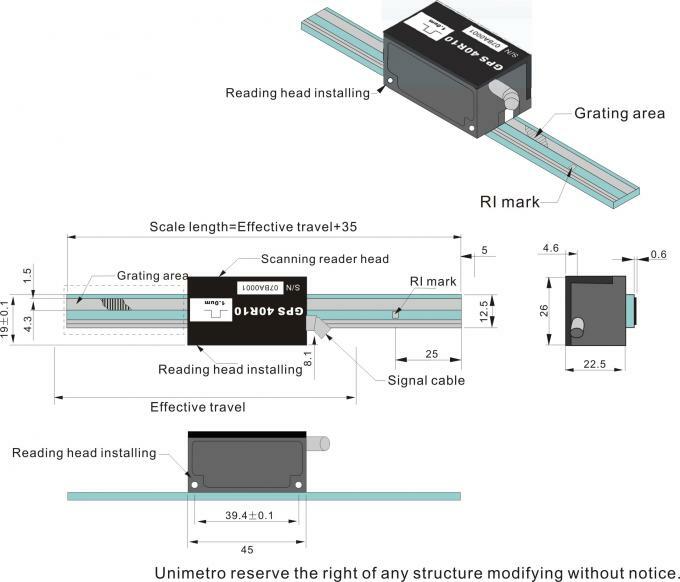 Large range of allowed installing position error, easy installation. 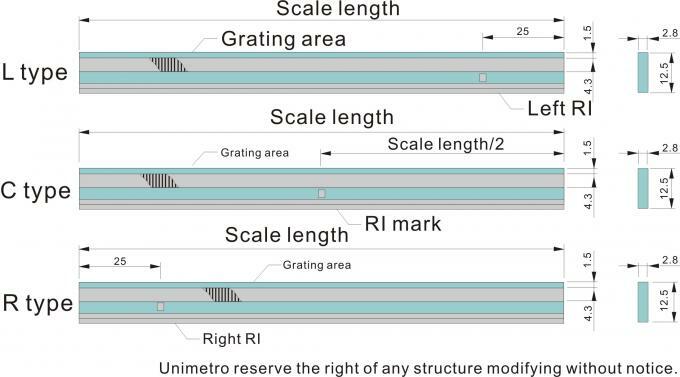 There are 3 types of the RI position of the grating glass scale for option, which are L, C, R. Please indicate when purchasing. 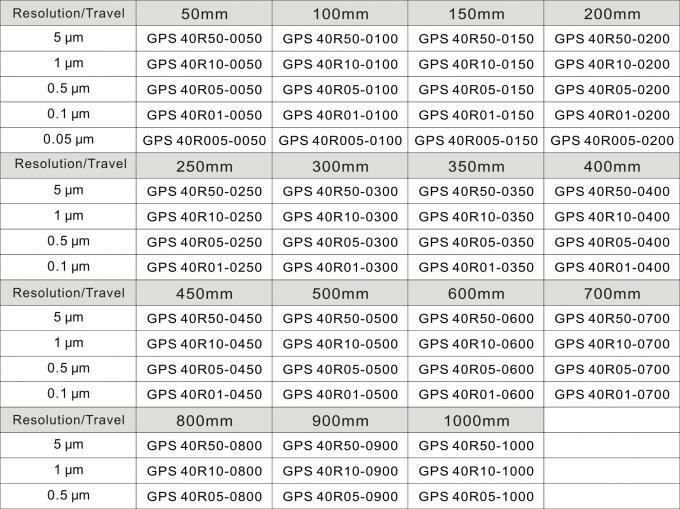 Also OEM for the RI reference position is available.